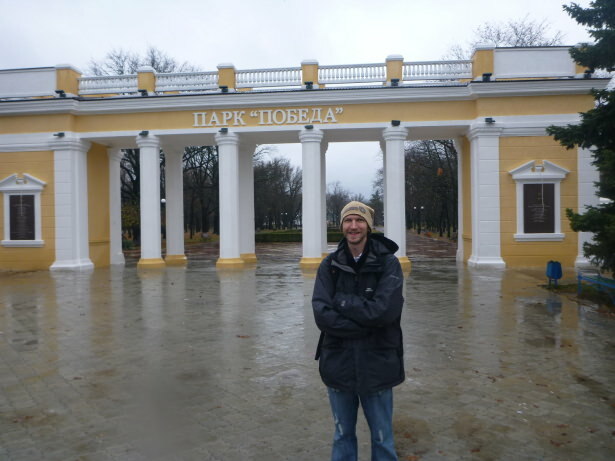 “I follow the Moskva, down to Gorky Park, listening to the wind of change” – Scorpions. 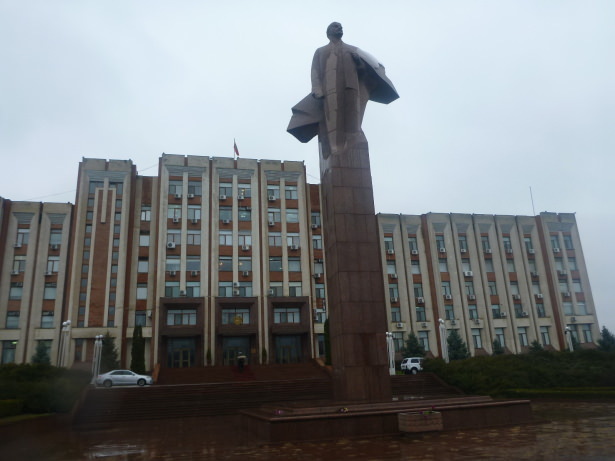 Backpacking in Transnistria: Top 12 Sights in Tiraspol, the capital city. 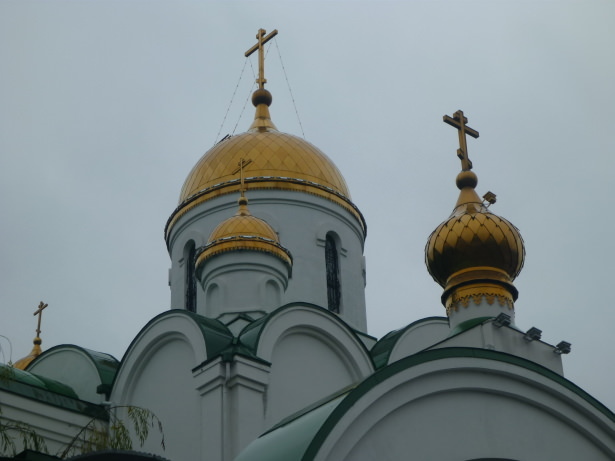 After exploring Romania and Moldova, it was time for something even more sublime as I took my eager backpack and soul across the border into Transnistria. Screams of “where?” were screeching out from my friends as I told them of my journey from charismatic Chisinau (formerly Kishinev), on a border bus into this epic self declared Republic. A reminder of my time backpacking through Nagorno Karabakh or Iraqi Kurdistan adventure, but with a blatant Soviet edge here. Get your communist sunglasses on, we’re in for a good time! 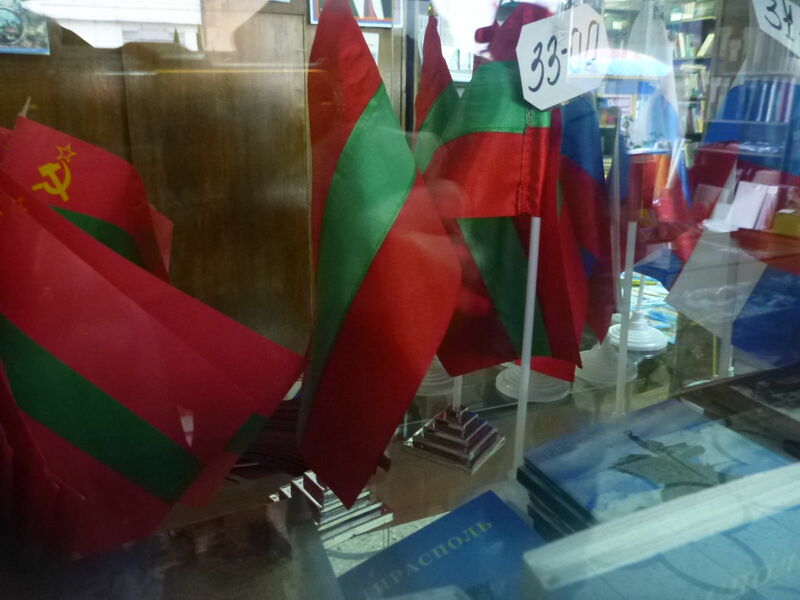 Transnistrian Flags for sale in downtown Tiraspol. Proudly proud of the Soviet past, embracing the post-Soviet present and excited for the post-Soviet future could be a way to sum up this country of hopeful people, still nostalgically clinging to the legacy of Lenin’s Bolshevik revolution and the Union that those Soviet Socialist Republics once had. Yet the people are still socially aware to know that the current year is actually 2014 and freedom is in the air, for those that want it. It doesn’t mean that the hammer and sickle needs to disappear into extinction. A Communist Advert in central Tiraspol, Transnistria with the country dates on it 1990 – 2014. 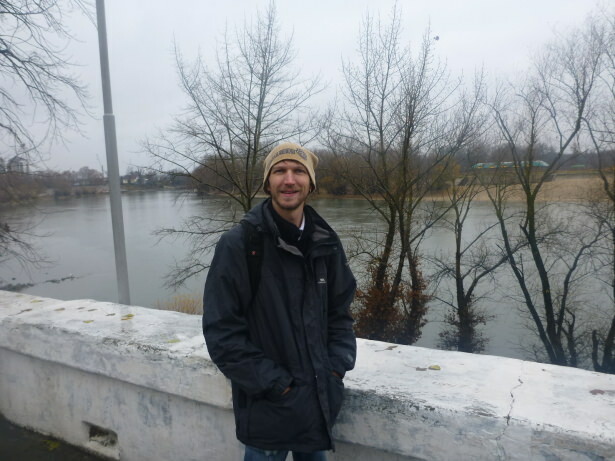 After crossing the border, meeting my new friend and local lad Ilya, and finding my Tiraspol homestay to tick all the boxes, it was time to explore Tiraspol. And what a city. It’s nowhere like anywhere else. It just isn’t comparable. The city centre is as obscure as they come. It’s charm sparkled in the cold November rain, and let me tell you there are plenty of guns ‘n’ roses about. What’s the street life like? A vintage trolley bus bangs its way past a brand spanking new bank, neither looking out of place or angry with each other. Lenin’s head rears itself into a sky pierced by the music of Slipknot from a student’s stereo, again there’s room for both. The student probably has a Lenin T-shirt under his jacket. 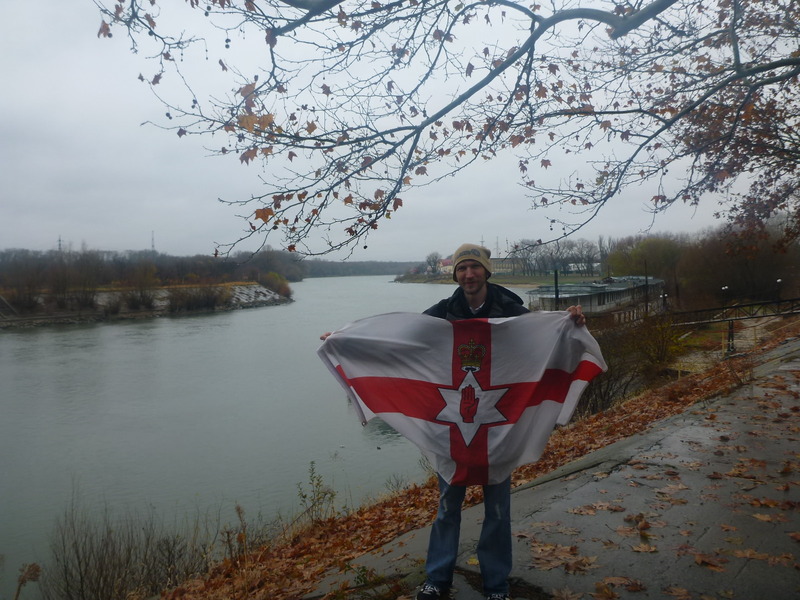 The communist symbol sits comfortably on their national flag while a Northern Irish backpacker flies his own flag at ease with the present. A local bar serves Danish beer insisting I try some, when really all I want is some local brew. 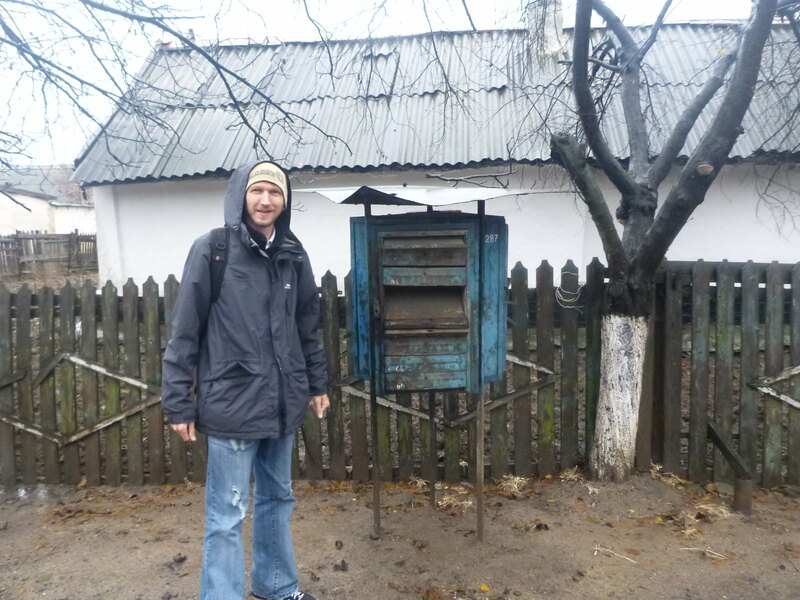 A Soviet post box stands untouched on a main road, a reminder of the communist times here and definitely no need to get rid of it. 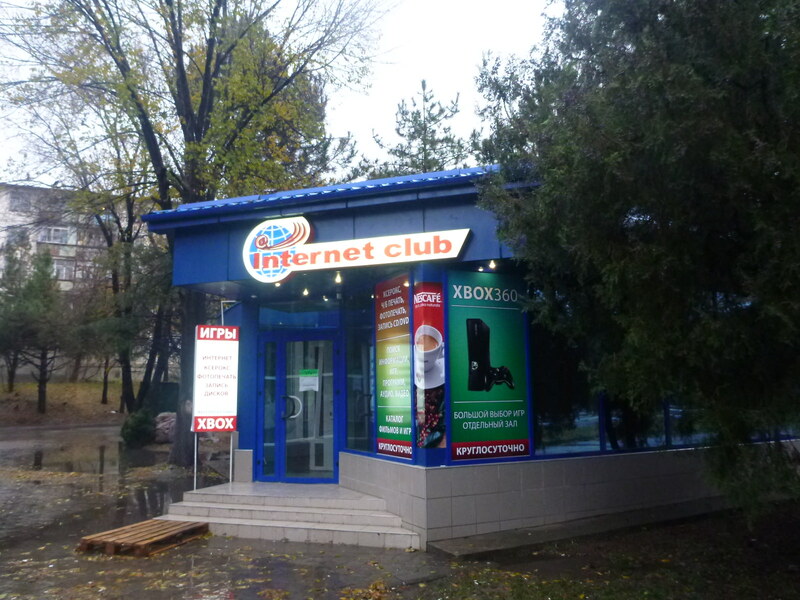 On the same street an internet cafe has teenagers logging into Facebook. How sentimentally nostalgic is this place? A lot, and you get a feel for the buoyancy of the locals, their longing to be in the present and their necessity of clinging to the joys of the past. Lenin’s revolution wasn’t a failure of course, he died before he could see it out. Who is anyone to criticise it? Certainly not me. It’s history and it’s beautiful. It’s brought us through the horrors of the past to enjoy the freedom today. Soviet figures such as Stalin and Brezhnev aren’t so apparent though. Lenin gets around town, his successors don’t have the glory of Transnistria quite so much. 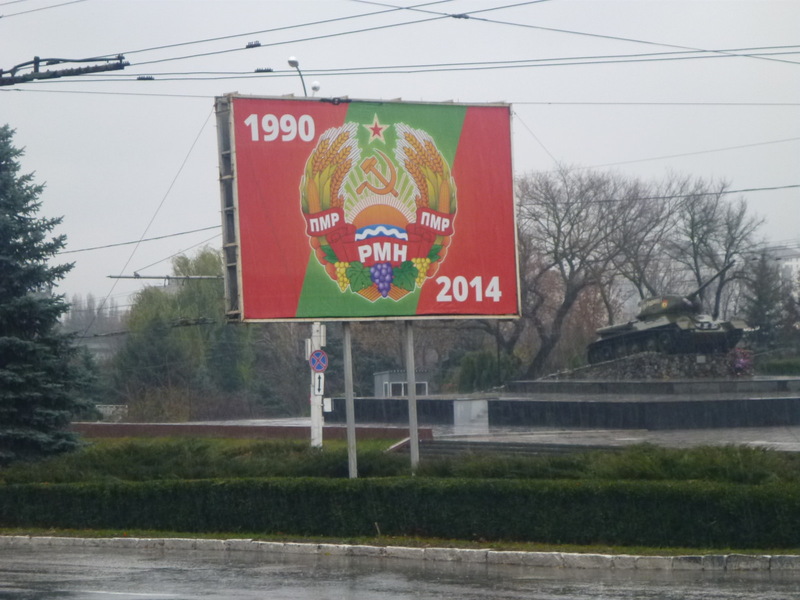 In short though, whether Soviet history is your thing or not, Tiraspol is worth a trip. 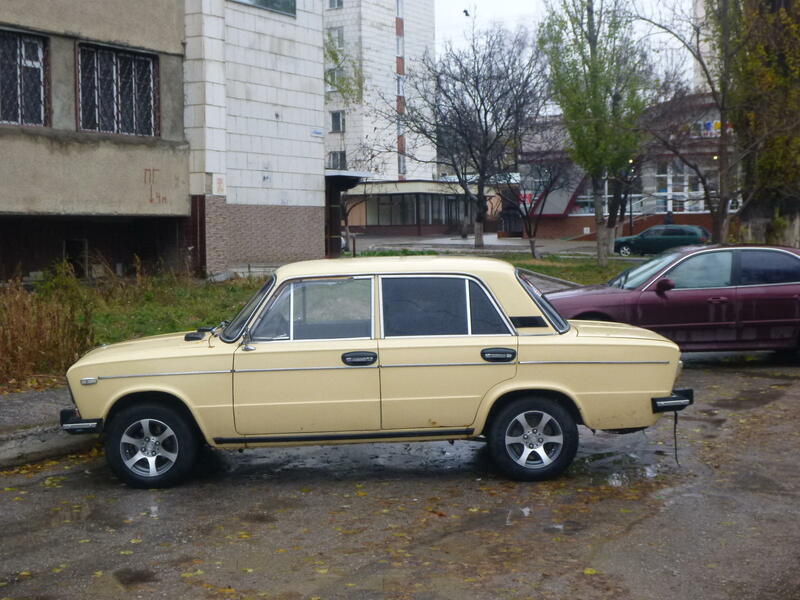 A Lada in Tiraspol, Transnistria. 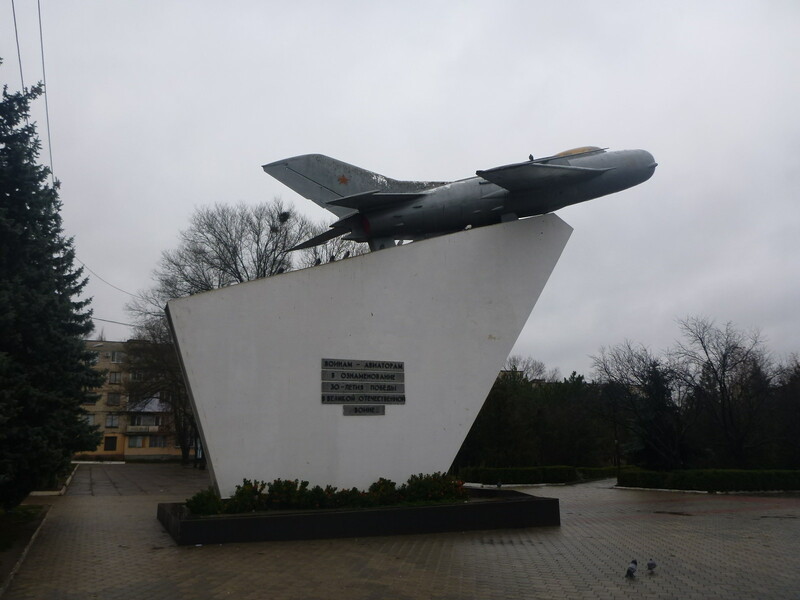 Tiraspol houses a population of 135,000. Which means that theoretically it’s the second biggest city in “Moldova” after Chisinau, the truth won’t allow that to be the case. It’s definitely in Transnistria. People in Transnistria have their own passport, money, flag, stamps, borders, police force etc. I enjoyed picking up some souvenirs! 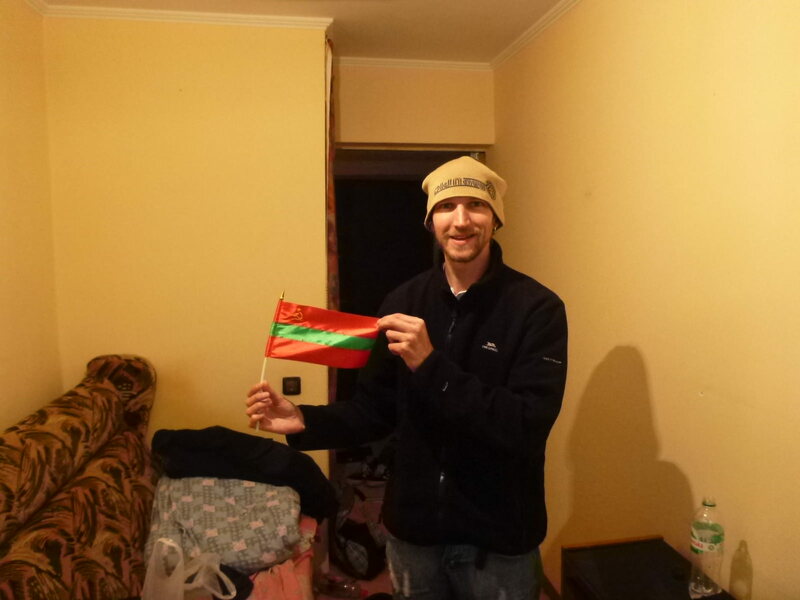 Some of my souvenirs from Tiraspol, Transnistria. 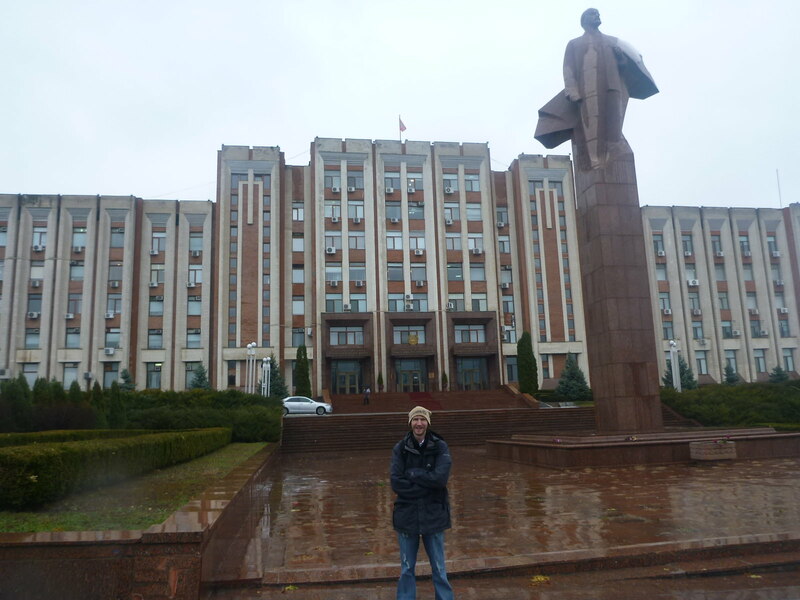 National Telephone Company HQ in Tiraspol, Transnistria. So what does Tiraspol offer an everyday backpacker? Like an Ulster boxer, it punches above its weight. Here are just a dozen of my favourite things to see and do in the city. 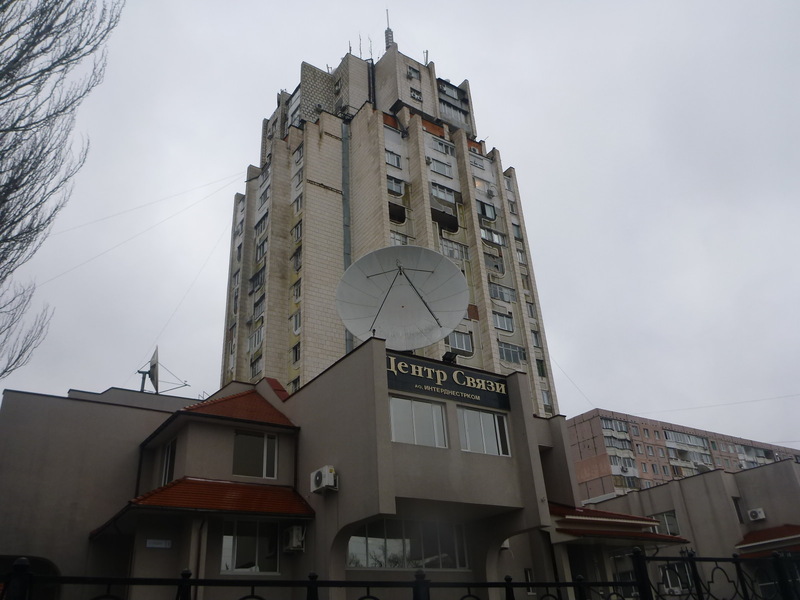 You’ll uncover a few more no doubt – I was pushed for time and I’m not claiming to be an expert at all – these are just my personal top 12 – for a cool guided tour of the city you can contact Timo at Tiraspol Hostel for more details. 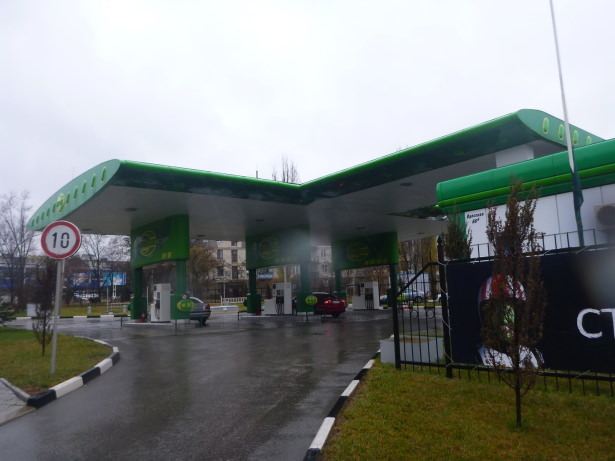 Petrol Station in Tiraspol, Transnistria. A bit of history in this river, which if you follow its path, you will see the geographical importance. 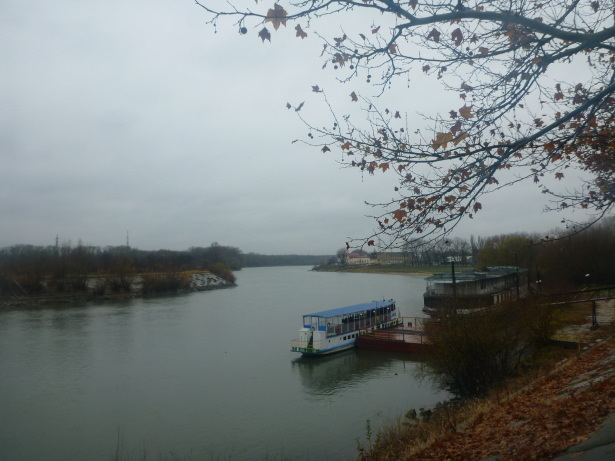 The Nistru River runs through the country of Transnistria (hence the name), at times acts as the border to Moldova and slices its way triumphantally through Tiraspol. 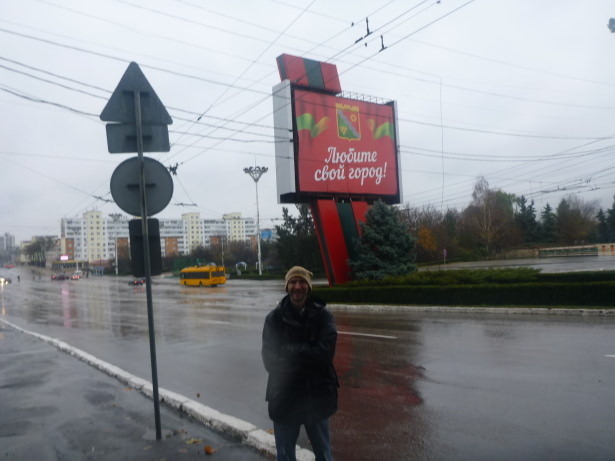 Hold on, Tiraspol, you ask? A city name with no real meaning, but the country Transdniestr means “land by the river” (I believe), fairly apt. Walk by the river and enjoy its swerving views. If you’re there in Summer you can drink and enjoy the relaxation of the green park and the blue park by the river. Down by the Nistru River. Oh the joys of Soviet opera. 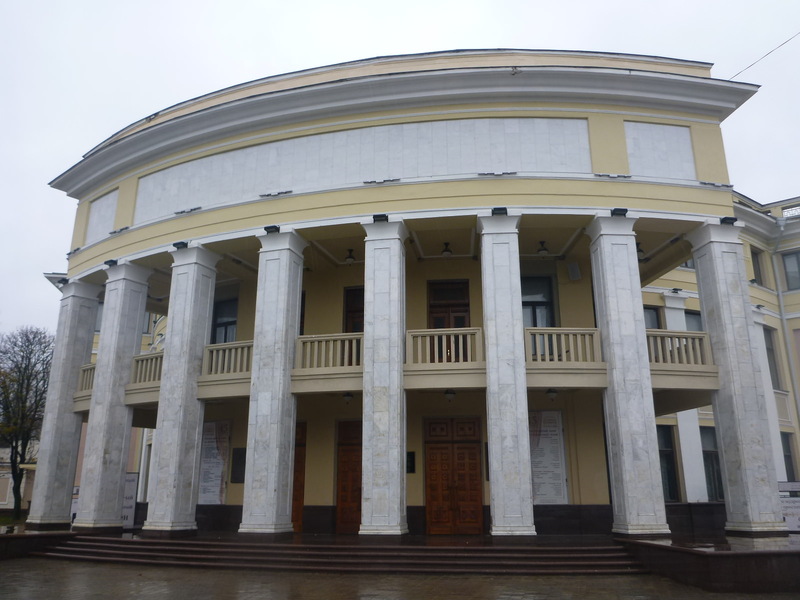 Theatre and plays are better in places like Russia, Belarus, Ukraine and Transnistria. This is where professionalism takes on a whole new ball game. I had the joy of watching many Russian ballets when I worked in a theatre some moons ago. If you get a chance – enquire about seeing a performance. Me? Happy to enjoy admiring the striking theatre, yellow, white and on a prominent roundabout. There is a leafy park, which had a recent makeover. 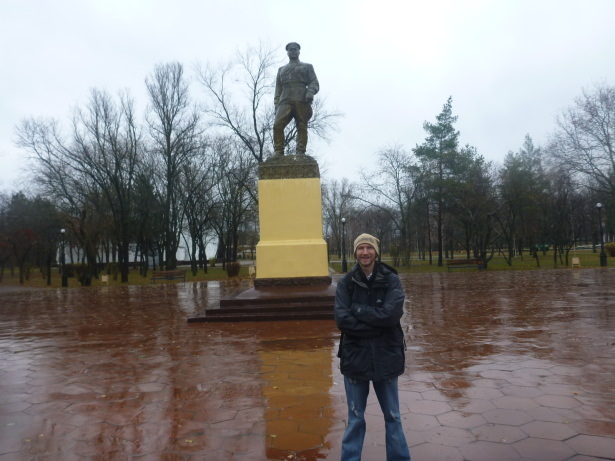 The park is known as victory park but here instead of Lenin, a local hero has his proud statue within its compounds. Not Lenin, but a local hero in Victory Park. 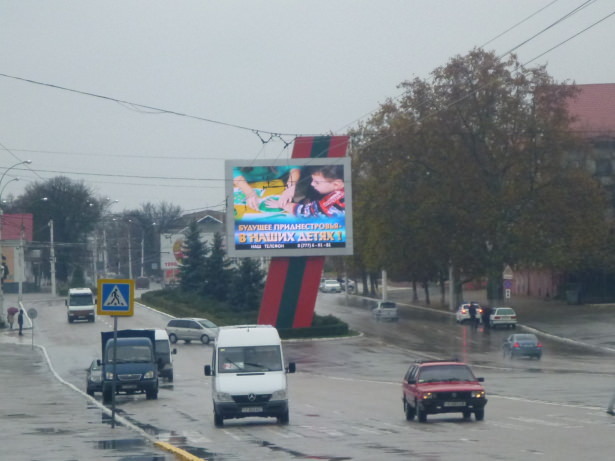 Tiraspol is the pumping heart of Transnistria. 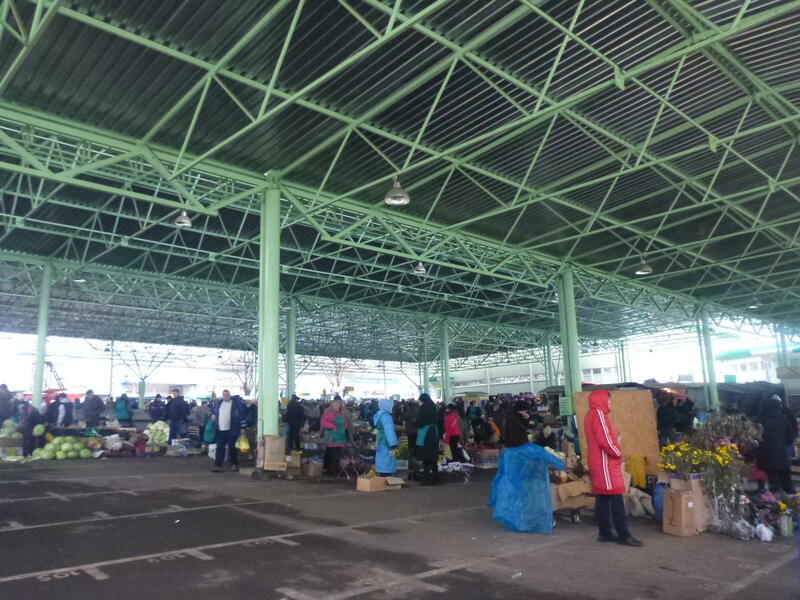 That’s why the hard working Transnistrians who don’t live here can come to the country market to sell their goods. It makes for a great place to check out what’s being produced here. 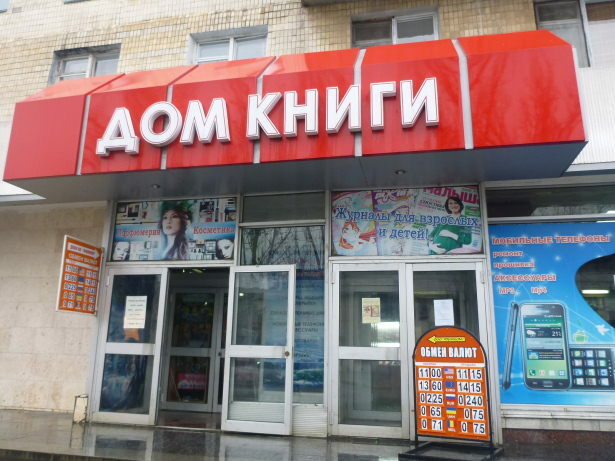 If you speak Russian (or Ukranian, Moldovan or even Polish) you should get by OK. The green and white Russian Orthodox church is one of the most striking from my travels. Mainly because it’s big and beautiful yet has no other tourists. 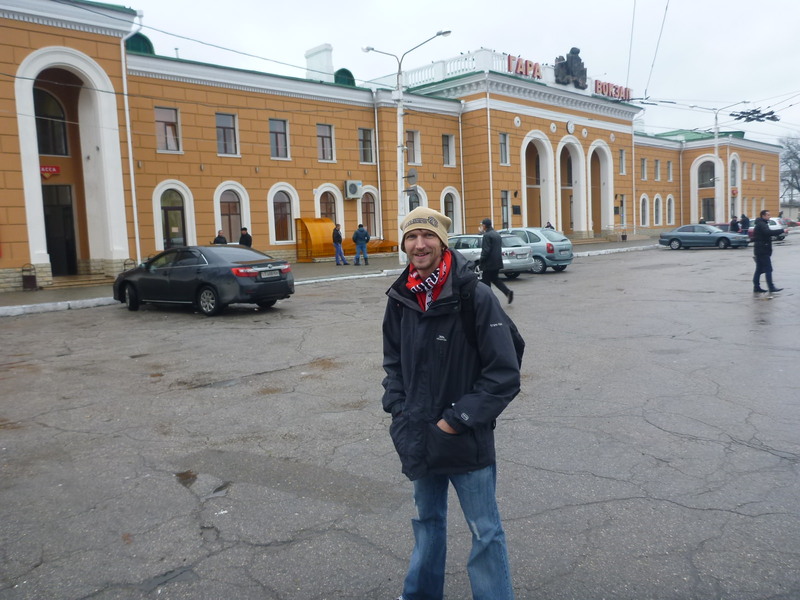 I was the only tourist in Transnistria at the time (missed the YPT group by 2 days!) and also alone inside the church. Actually, inside the church hall itself is tiny. I stayed and prayed a while. It’s officially known as the Church of the Nativity. 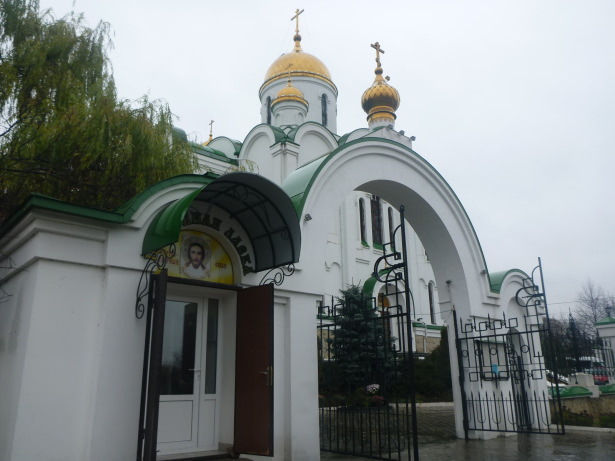 Church of the Nativity in Tiraspol. 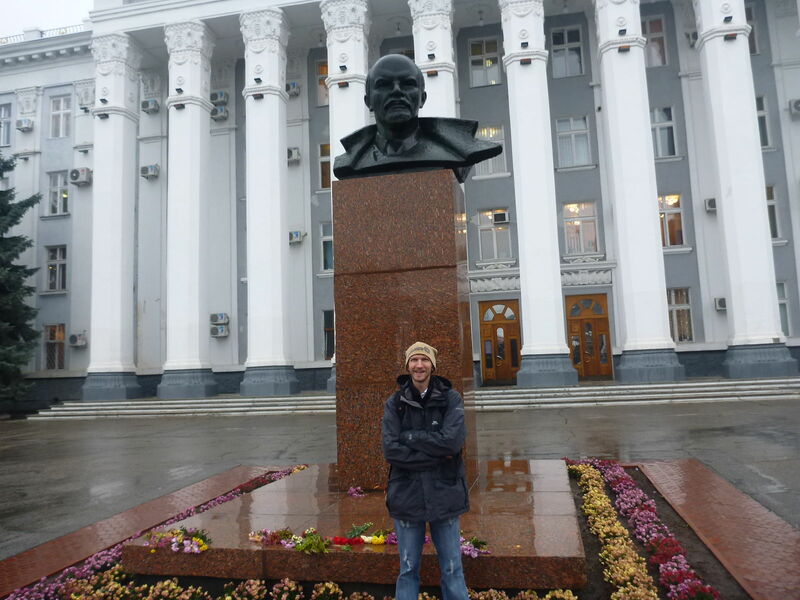 Lenin’s head sits on a large column in front of the parliament. 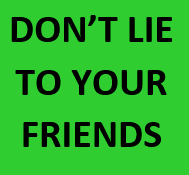 It’s a sign of the past with absolute no necessity to forget it in the present. Glory to the people. 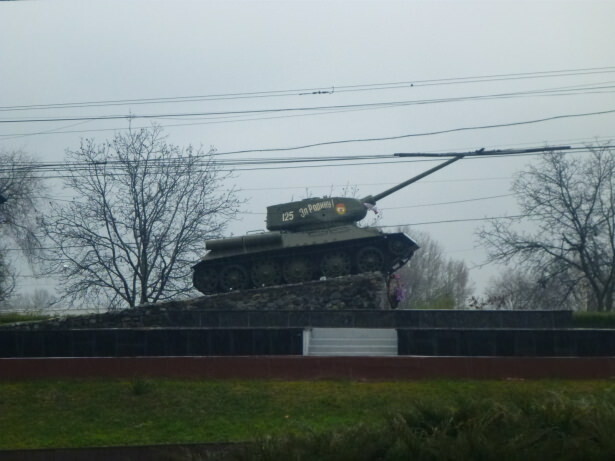 An actual Soviet tank positioned obviously by the main road (25th October Boulevard) in front of head sculptures and nation flags might raise some eyebrows for young backpackers and rightly so. No alarms and no surprises please. Sure the same thing happened when I toured Askeran in Nagorno Karabakh and Durdle Door in England. 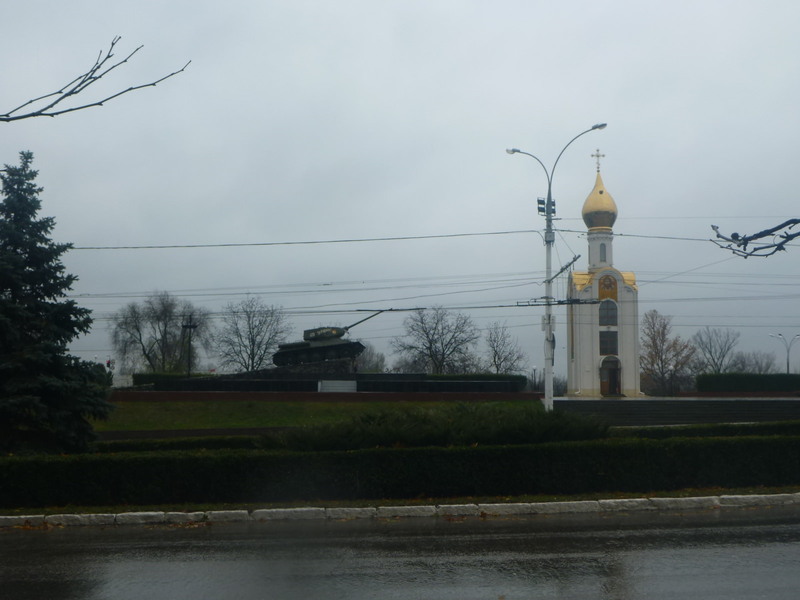 An army general died in this tank so the significance hasn’t passed anyone by and it’s a prominent fixture in a sentimental city. When I asked Ilya about the building, the nearest description I can really give is that it’s the current “city hall” but is known as the Palace of the Soviets. It’s a government building on the main street through Tiraspol and where the administration happens. Palace of the Soviets with another Lenin head. There are some local heroes on the walls on either side next to a flower garden. Local heroes wall by the Palace of the Soviets. Well Kvint is Transnistria’s own brand. It’s the local alcohol producer for the country and their stuff is so good, it’s imported. The specialist drink they have is Transnistrian Brandy – I’ve banned myself from Brandy and Vodka however following 2 crazy nights from my travels which almost killed me. In the neighbourhood I stayed in was a Kvint Shop, and there is also a factory which you can try and arrange to tour. 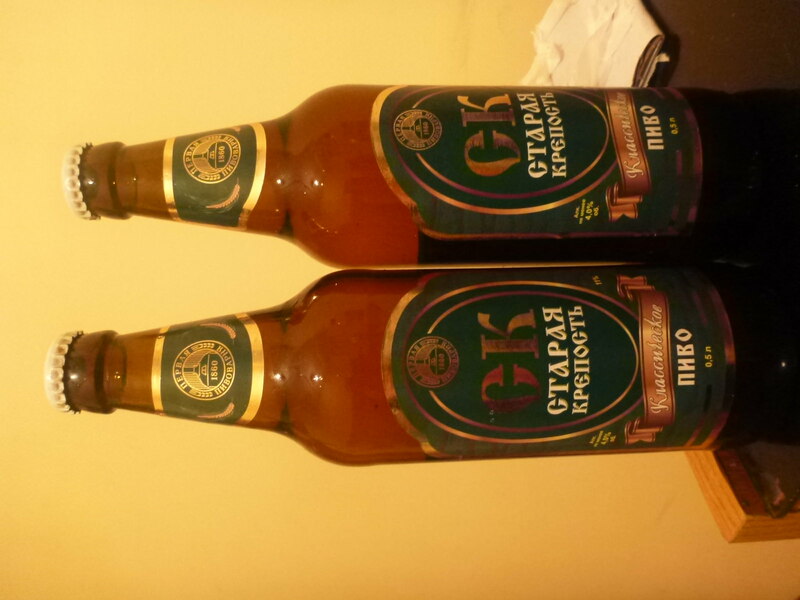 Instead of Kvint, I went for local beer at 30pence a bottle. Locally I was happy to try the beer, which was great. (Yes I have tried turning that photo round and it won’t be budged). And why don’t I drink Vodka and Brandy? 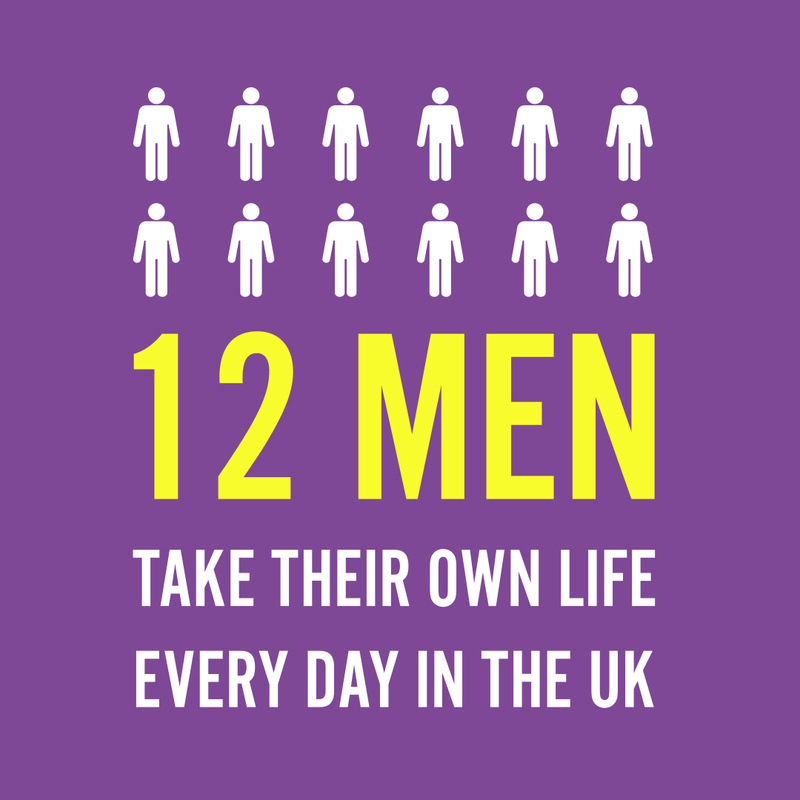 I rarely mention it on here but I don’t drink Vodka ever and I can’t – it makes me sick so I didn’t try it and also turned down the brandy for the same reason. Memories of bad times in Armenia and Nagorno Karabakh came reeling back so the beer was enough, but yes if you are into it, please try the local brandy and vodka, Kvint! 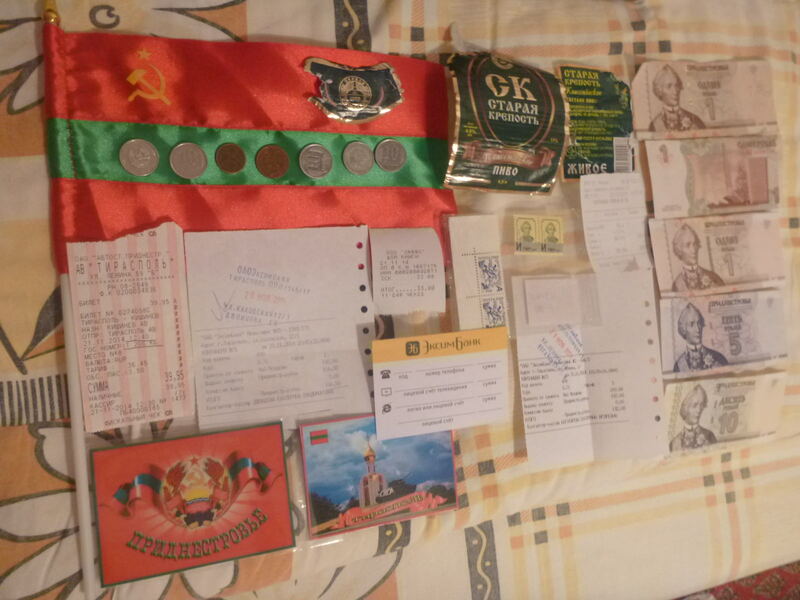 So I collect coins, banknotes, beer labels, stamps etc. from every country I go to. 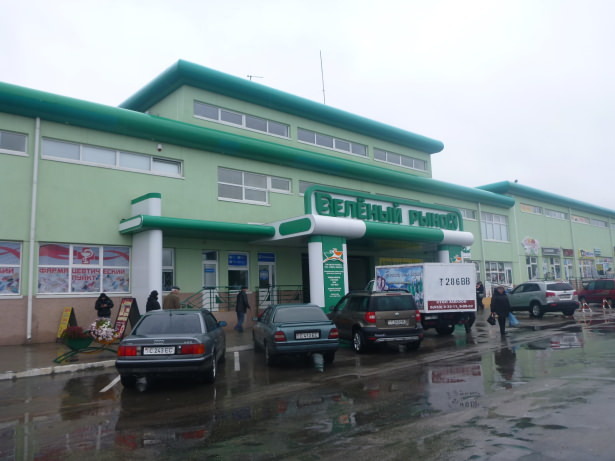 With Transnistria I asked Ilya if there was a souvenir shop anywhere. At first, he actually wasn’t 100% sure what type of shop we would find – but we got one. This bookstore is the best place to buy souvenirs. You can buy flags, magnets and books (but they didn’t have any postcards). What was cool was that this place also doubles up as the oldest bookshop in town. Not an iPod, laptop or smart phone in sight. Nice. Tiraspol actually has two massive football teams (FC Tiraspol and Sheriff Tiraspol), and the Moldovan national team has played here. 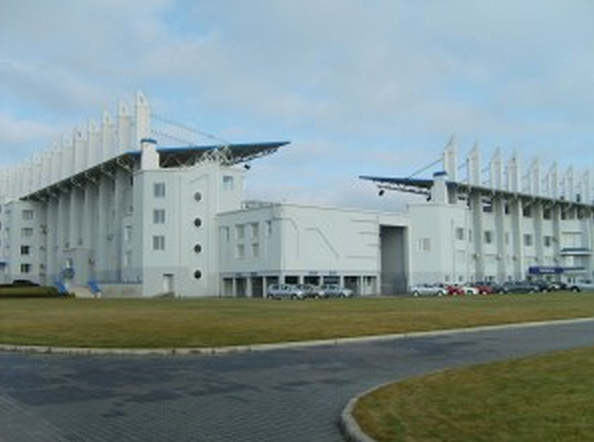 I was pretty surprised at the size of the football stadium to be honest and also that Moldova played here, as on local terms this is a separate country – FIFA do not recognise Transnistria as a national team. You’ll probably pass through the country’s transport hub and it’s worth a look around. The train and bus station are in the same place. 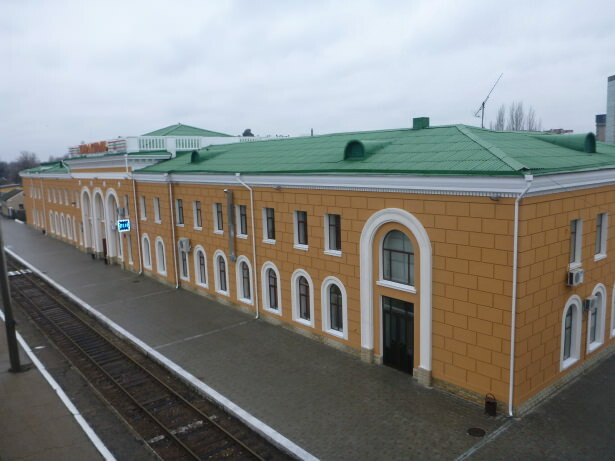 The colours are excellent and I love Soviet era railway station – reminders of my train journey to Bobruisk in Belarus sprung back into my mind. 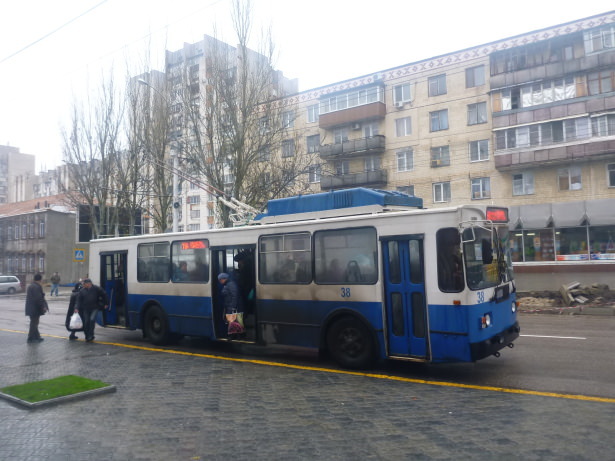 It was a short trip for me just a day backpacking in Transnistria – though I stayed overnight, I left before my 24 hours in the country were up (that’s the maximum you can have until you have to register). I hope this gives some of you a flavour for what Tiraspol has to offer. If I go back someday, at least I now have the contacts and a clearer idea of what the place is about so another trip would see me finishing off the sights and places I want to see. It’s a cool spot. This entry was posted in Central Asia/Middle East, Lists, My Top 5s, Tiraspol, Transnistria. Bookmark the permalink. 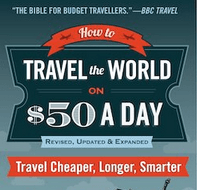 Hi Johnny I really enjoyed this read as a fellow backpacker and blogger I always want to visit new countries especially the hidden parts of Europe. 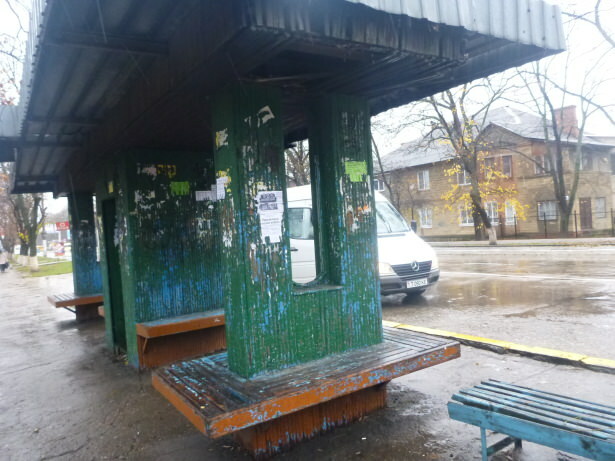 I hitchhiked into Transnistria a couple of months ago and it sure was a unique experience. A French friend of mine was with me and he’s Black. 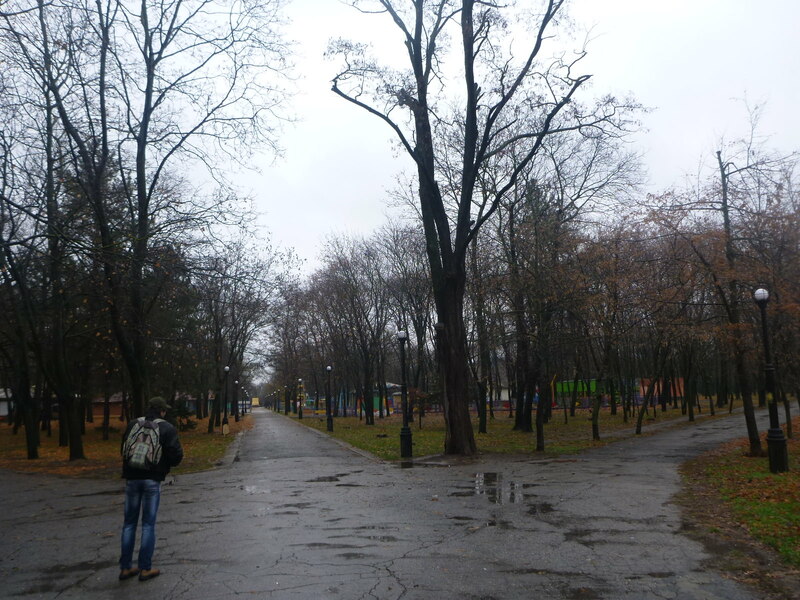 One child in Tiraspol ran up to him wanting a photo beside him looking so mesmerised. Hell of a journey, congrats. One thing from me – Tiraspol (or Tyraspol in Polish) does not mean “City by the river”. 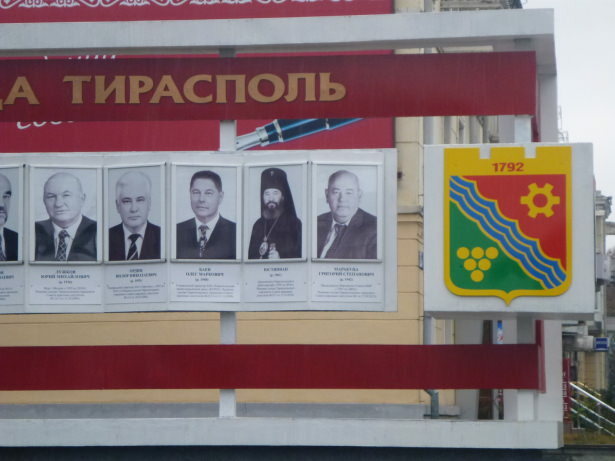 Tiraspol means literally nothing in that language.